Pool parties, barbeques, summer holiday picnics, birthday bashes and more can all happen poolside. That said, your pool’s apron could take a real beating. With the hustle and bustle of activity, there is heavy foot traffic, dirt and debris being scattered and spread, as well as sticky spills from those umbrella drinks taking a tumble. And, while the inside of the pool is supposed to be wet, of course, dampness in other areas can be damaging. During a wet year, mold, mildew and algae can grow, and the pool chemicals can be spread throughout the apron as well. 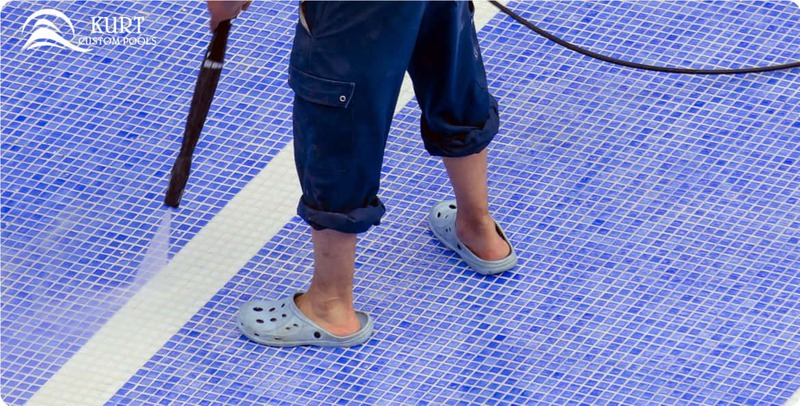 You can keep your pool area clean, well maintained and safe by using a pressure washer.